Our primary goal for the 2016 redesign was to implement a responsive design to ease browsing and registration. 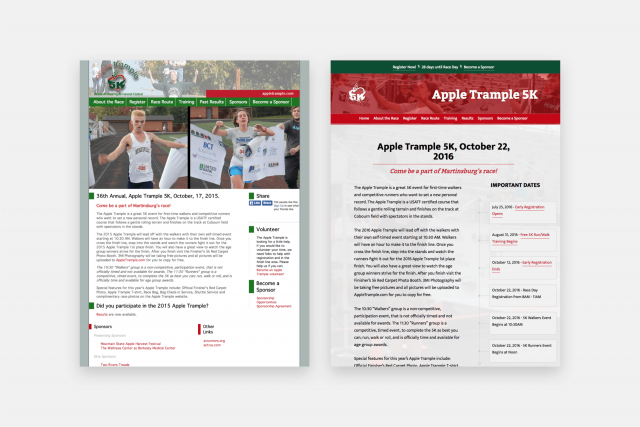 Additionally, we cleaned up the URL structure of the site - which no one except maybe Google will notice or care about - replacing the archaic appletrample.com/index.php/AT_site/ structure with a cleaner appletrample.com/5k/ structure. Again, no one will notice but it was one of those things that bothers a web developer. Finally, we used Mapbox to add an interactive race route map to the website - replacing the static image map that was previously displayed on the site. 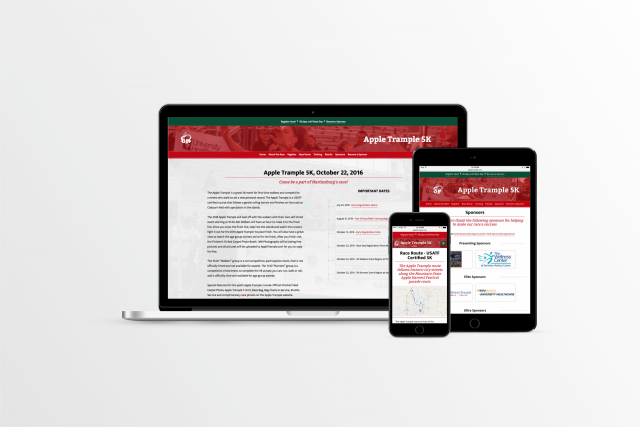 With the 2016 AppleTrample just completed, we thought it would be a good time to take a look at the statistics to see whether our mobile friendly redesign was worthwhile. As you may expect, the answer was yes. The site was visited by an astounding number of mobile devices - 123 different types to be exact.